Sattal Christian ashram address, sattal distance from Delhi, sattal weather, Sattal Adventure activities, sattal birding guide, sattal distance from Nainital, | Uttarakhand Travel Guide | Travel guide & Adventure guide in Nainital. Garud TAL view from above Bhowali - Sattal road. Sattal is a group of the above mentioned 7 lakes. We will know here about the most beautiful lake of the above, that is Garud Tal. 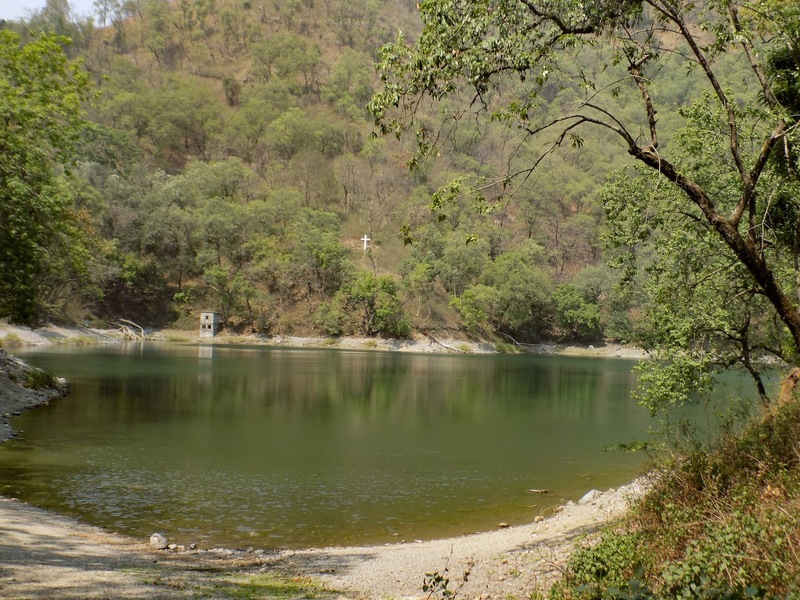 Garud Tal is situated 1 kilometer prior to the main attraction of Sattal. 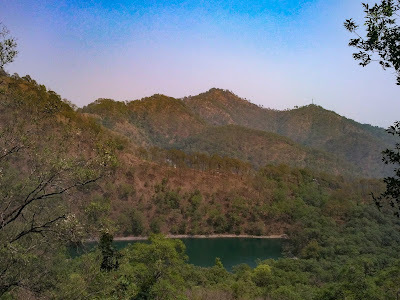 Garud tal not adjacent to road but it is few meters away from the road, that's why many people go back without visiting this place resulting a small number of people in Garud Tal or a very less crowd. Garud Tal is also regarded as Haunted lake, it looks like abandoned lake, the number of people visiting this lake is very low, because of this people think that Garud tal is a haunted lake although the reason behind lonesomeness of this lake is that it is a private lake owned by Sattal Christian Ashram and the other reason is that it is not adjacent to road. 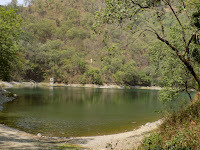 Garud Tal is the most beautiful among the other 6 nearby lakes. Due to lack of information about the place people often doesn't visit this secluded place and head towards other common attractions. The emerald green water of the lake, the lush green forest surrounding the lake and seeing the branches of trees in and just above the lake is vey eye satisfying. The banks of Garud tal are natural unlike other nearby lakes where there are man made banks , one can even walk into the lake for few steps. The Garud Tal and the forest around it are still untouched by humans, no human made structures can be found in this area. The flowing cold breeze of the mountains near the Garud Tal takes away all the pain and tension. One can easily spend whole day sitting in the shores of Garud Tal. Sattal is compared with England's West Moreland. There is a narrow trail near the Garud Tal that leads to Christian Missionary Ashram. 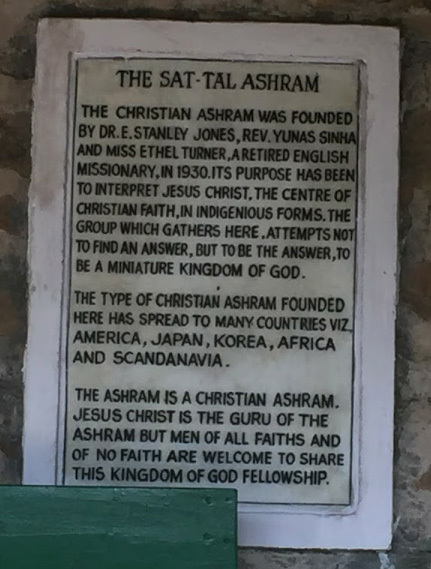 This Christian Ashram was established by Dr. E. Stanley Jones in the year 1930. This Ashram is open for all religions. castes and offers accommodations and food. This place is meant for those who want to discover the truth of living and those who want to learn the Teachings of Jesus Christ. This Ashram is all surrounded with jungle and Sat tals. The whole area of Christian Ashram is spread over 300 acres and is known as Sattal Christian Estate. There are 27 cottages for staying there open for all provided one needs to book prior visiting. 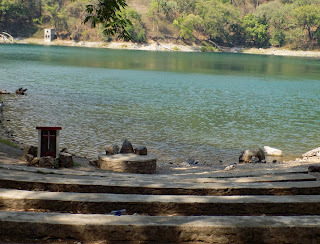 The Garud tal is also owned by the Sattal Christian Ashram. 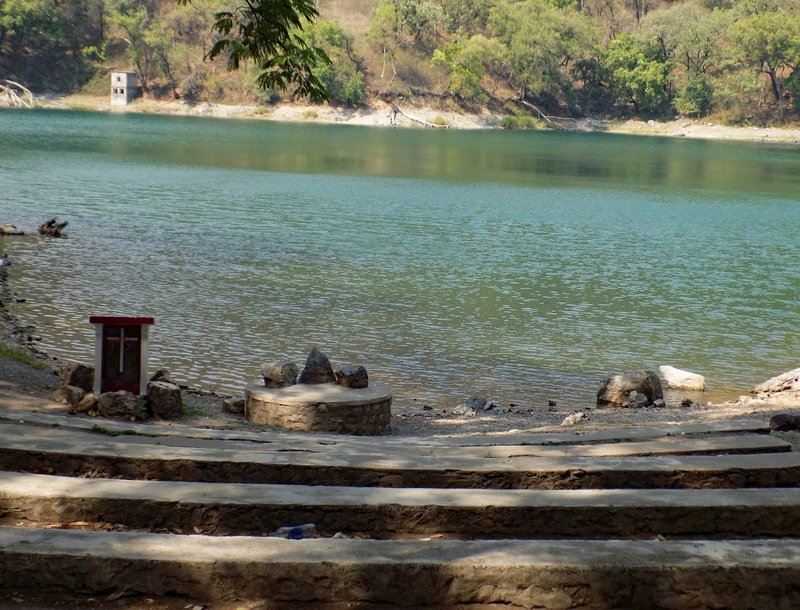 There is a Chapel there available for use and a Garud Lake side Chapel too for weddings and other ceremonies. The food and cottages offered in the ashram are simple yet very good and comfortable respectively. Celebrations are held at Ashram every year in May- June and September - October that Is attended by followers all over the globe. Pantnagar is the nearest domestic terminal, Delhi is the nearest International Airport ( 320 km). 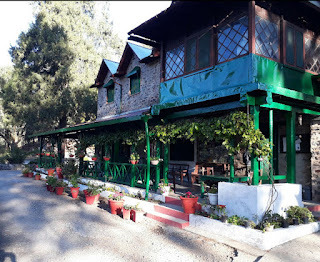 Sattal is well connected with all the major hill stations of Nainital like Ramgarh ( 37 km), Nainital ( 22 km), Bhimtal ( 15 km), Naukuchiyatal ( 20 km), etc. Visit this link ( )to know about weather of Sattal in different months of the year and adventure activities, places to visit in Sattal.